What it is: The look of a lipstick meets the feel of a balm for the most wearable lip yet. Loaded with crushed pigments and lip-loving ingredients, the Bobbi Brown's Crushed Lip Color is the ultimate swipe and go formula. Why it's different: Rich in vitamins E and C and beeswax, the balmy formula glides on comfortably with a satin matte finish that leaves lips hydrated and kissably soft. Plus, it won't feather or fade for crush-worthy color that lasts all day. Paraben-free; phthalate-free; sulfate-free; sulfate-free; gluten-free. Explore the entire range of Lipstick available on Nykaa. 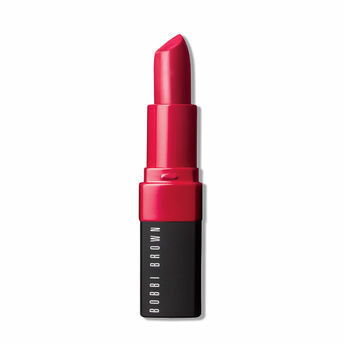 Shop more Bobbi Brown products here.You can browse through the complete world of Bobbi Brown Lipstick .Alternatively, you can also find many more products from the Bobbi Brown Crushed Lip Color range.